Keeping The Most Essential, The Most Effective. Water heaters are the second largest energy user for most homes. Most are good for 8 years or so, then it might be time to replace, rather than repair. We can help determine if a traditional or tankless solution is best for you. When installing a new water heater, we will bring it up to code and use an energy efficient model to save you money on your energy bills every month. 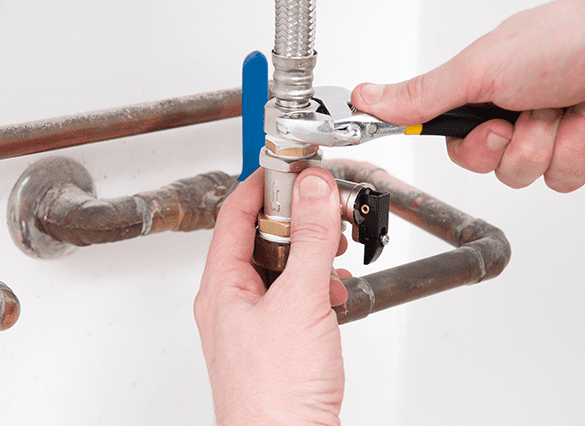 While we’re there, you might consider a recirculating whole house fast hot water system, too! Use less water and save time and money on your bill. We install all sizes of residential and commercial water heater, including natural gas, electric, and continuous flow water heaters. Ask us which one is right for your needs. We offer same day service for your water heater needs. We install all major brands from gas, electric to tankless type. Our technician will inspect and advise you of the best heater to meet your needs. Tankless water heaters are becoming ever more popular. A key benefit is that you essentially never run out of hot water. They can be up to 50% more efficient, may be eligible for gas company rebates, are compact and are space saving. You are not using energy while you are not home. We offer repairs on most brands and are factory authorized repair specialists for Bradford & White, GE and Rheem.